Petfinder Foundation - animal shelter grants for Petfinder Members. An added benefit of Petfinder membership includes exclusive access to grant support through the Petfinder Foundation. The Petfinder Foundation exists to support Petfinder members through cash and product grants, with the goal of helping to keep adoptable pets healthy and happy. Petfinder members can also receive grants to make shelter operations more sustainable, and to aid during times of natural or man-made disaster. Since its inception, the Petfinder Foundation has given more than $20 million in cash and product grants to Petfinder members. 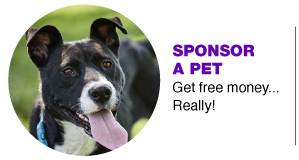 Click on the programs below to find out how your shelter or rescue group can benefit! 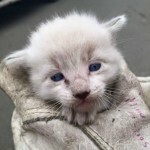 Sonoma Humane Society took in Jeff the kitten who was found as a stray during one of the worst wild fires in California’s history. Sonoma Humane Society applied for a Disaster and Emergency Response grant from the Petfinder Foundation to help fund Jeff’s care. After successfully treating Jeff’s medical issues, they were able to adopt him into a loving home. 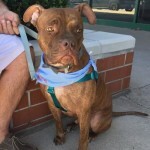 Funds raised through Petfinder Foundation’s Sponsor A Pet helped Rosco return to health. When he arrived at Loving Fosters K9 Rescue, Inc., he had eight broken teeth and was severely underweight. Money raised via Sponsor A Pet paid for Rosco’s dental procedure and he went to his forever home happy and healthy. The Petfinder Foundation has been able to support many Petfinder members through grants and donations. View their success stories to find out more about how donations are helping Petfinder shelters and rescue groups.